This is a repost of an April 2018 blog post. From Fox News: An illegal immigrant alien who was previously deported was arrested in Oregon on Saturday after he went on a rampage and almost killed his co-worker with a nail gun, officials said. Jesus Ascencio-Molina, 24, a native of Mexico, was arrested on Saturday, April 14, after he assaulted Andres C. Marcelo, 24, of Wood Village, Ore., a fellow construction worker, the Clackamas County Sheriff’s Office said. Deputies were called to the scene of a home in Happy Valley after responding to reports of an assault. Marcelo was injured after Ascencio-Molina allegedly shot at him with a nail gun. Ascencio-Molina fled on foot and was arrested the next day. Marcelo was injured but listed in stable condition, the Clackamas County Sheriff’s Office said. Carissa Cutrell, an Immigration and Customs Enforcement spokeswoman, told the Daily Caller the sheriff’s office would most likely not notify ICE if and when Ascencio-Molina is released from jail. “Even though we lodged a detainer, due to Clackamas County’s policy of non-cooperation, it is unlikely that ICE will be notified in the event Ascencio-Molina is released from custody before his criminal case is resolved,” Cuttrell said. 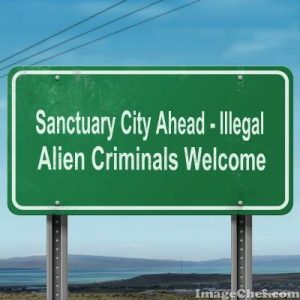 Ascencio-Molina was deported in 2012 after he was charged in Multnomah County, Ore., the Daily Caller reported. It was not immediately known when Asencio-Molina returned to the U.S. ICE issued a formal detention request Monday to the Clackamas County Jail. Ascencio-Molina was charged with assault and attempted murder and is currently at the Clackamas County Jail. His bail was set at $250,000. From Daily Mail: A Mexican illegal immigrant who was deported 16 years ago is said to have snuck back into the US where he raped a nine-year-old girl as she was sleeping. 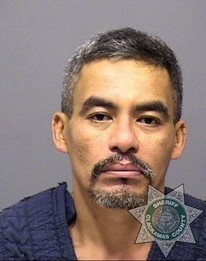 Santiago Martinez-Flores, 48, is accused of breaking in through a window in Clackamas and sexually assaulting the child in a bedroom she shared with her five-year-old sister. He had been sent to Mexico in 2001 after serving two years in the Oregon Department of Corrections for crimes dating back as far as 1994. The young victim was fast asleep when the suspect broke into her room. After being pinned down and abused, the girl managed to wriggle free and run to her parents’ room. Her father grabbed his gun and went into his daughter’s bedroom, but the attacker had already escaped through the window through which he broke in. The county sheriff’s office were able to obtain the suspect’s fingerprints from the break-in and are now hunting the fugitive, according to KATU News. Officers say Martinez-Flores has also been known to use the aliases Felipe Coeto and Isidro Ramos Flores. The sexual assault happened during the early morning hours of Sunday, February 26.